BELIZE CITY, Thurs. Sept. 15, 2016–Tony Wright is the author of a book that will forever immortalize Belizean artists and musicians who emerged between the early 1950s and present day. The book, entitled, Belize Musicians Past and Present, was launched at 10 a.m. today, Thursday, at the Image Factory on North Front Street. The audience at the event, mostly consisting of celebrated Belizean icons such as Lord Rhaburn, Radiance Thompson and the Super Furia band, among others, today witnessed the launch of a book that is aimed at preserving and promoting Belizean arts and culture. Yasser Musa, whom Wright credited for providing instrumental support in this endeavor, described Tony Wright as a legendary culture warrior doing everything to preserve a culture that is bombarded by strong external influences. 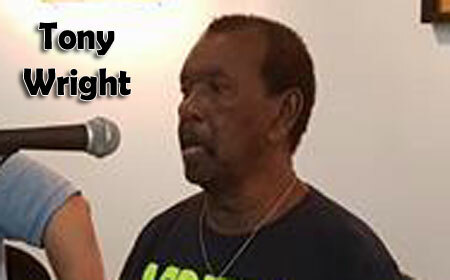 Wright, who, along with his on-air partner, J.C. Arzu, has been promoting Belizean artists on the KREM airwaves for over two decades, insisted that his obligation is to cement and commend the efforts of local artists who have given of themselves to shape our cultural identity. Several biographies and pictures can be found of these artists during the pinnacle of their careers in the new book. The book is on sale for $15 at the Image Factory, Angelus Press and Brodies, among other outlets. Although the book took twelve years to make its way to stores, Wright assured us that there will be a follow-up effort documenting artists and other bands that he was not able to feature in this publication.